Here's what our students are saying about our workshops! "Kevin's class was amazing. You can tell that he is super passionate about teaching people about photography. He was very easy to learn from and I have already signed up for my second class and plan on taking another after that one!" "You're a great teacher who explains technical things in understandable language!" " I've taken several intro-level photography classes in the Austin area and while I gained some new knowledge from each class, Kevin is a great "teacher" whereas the others are good presenters. I feel like the class was time and money well spent and am already studying to figure out which class to take next. "Kevin is passionate about his work, which comes through in the way he teaches. He offers his time before and after class if you need help, and he is thorough without being overwhelming. The class format is well-structured and organized." "Kevin helped me jumpstart a passion that I'd had for a long time, and now I'm on a path to becoming a professional Photographer! His classes are not only informative, but also fun. I draw on the knowledge that I gained from him every time I pick up my camera. Kevin has a knack for fully engaging his students and makes the content appropriate for all levels. I took all of his classes and studio workshops and will definitely be back for more! Great stuff!!" "I have learned so much from Kevin in his Photography 101 class and have registered for two more of his classes. He is so easy to understand and no question is a dumb question. He loves what he does and it shows through his teaching. I was sad when the class ended, but I am excited to take more of his classes." - Alice M.
"I have attended several classes with several teachers -all talented photographers. But Kevin is the best of all of them. Great and talented photographer PLUS great teacher." ""Kevin's classes offer new photographers the opportunity to dive deeper into the fundamentals of photography and the tools and techniques to improve your skills. I have taken two classes now and enjoyed them both tremendously!" "I have taken two classes with Kevin over the past few years. They have been, by far, the best thing I've done for my photography!! I hope to participate in his Rocky Mountain workshop soon. Thanks Kevin!" "I have taken 3 courses with Kevin and plan to take everything he offers! His sense of humor and deep understanding of all things photographic have inspired me to get better with my camera. Highly recommend "Mr. Kevin" to anyone of any level who wants to know more about photography." "Kevin's expertise is clear, and his patient, supportive, and accessible teaching style make the class a GOLD MINE of information on not only the technology side of photography, but also on the techniques and the art. I'd recommend this class for anyone just starting out, or experienced photogs that want to review basics-- I've been dabbling in photography off and on for 30 years, and I learned something important in each class session that immediately made me a smarter photographer!" ""Kevin is very passionate about photography and also teaching photographers. He really goes out of his way to help answer any questions and really cares about you learning both the technical aspects and the art of photography." "Kevin's class was extremely informative! I realized that, in the first 2 hours, I learned so much more than I thought I would learn the entire weekend. I didn't know, I didn't know so much! The course paid for itself during the first 2 hours! Kevin is a wonderful teacher and had so much patience with us as students. He took the time to make sure we were all clear on each feature and it's function before moving on to the next, yet kept us moving in a timely manner to finish on time. He is an amazing photographer! He teaches you how to take your photography, a step above the average person, who owns a camera. The atmosphere is very relaxed and interactive. He allows you to experience a lot of hands on, during the course, this making you feel, much more confident, that you will be able utilize what you've learned once you leave his class. He also gives you a binder with all the slides he covers and you take notes directly on those pages, (Bring a highlighter!) A great point of reference to refer back to. I love that, no matter what questions I've had, since being in class, all I have to do is email him, he always takes the time to reply with an educated answer including options. He offers lots of other classes, that will help me take my photography even further, and I can't wait to take them. He is very accommodating in every way. He has a great sense of humor, a sincere passion for photography along with being a compassionate family man that shows in his work and his examples. I will continue to watch his emails for new classes, and sign up as soon as I see dates that coordinate with my schedule. The class was truly for anyone just wanting to learn how to use the basics of their camera to someone wanting to take their photography above and beyond. Thank you Kevin for giving us one of your weekends. Until next time! " - Jodi"
"Kevin is a great teacher and makes the incredible art of photography simple and easy to comprehend in the 101 class. It was a great experience for me!" "You are a great teacher. You have excellent communication skills and are able to easily step down to our beginner level and teach at our level of understanding. Plus, the almost immediate feedback is great!" "I'm learning a ton in this class, and I think I owe that to your expertise and excellent teaching skills, and your patient, encouraging style!" "I highly recommend you take Kevin's Photography 101 class if you are a wannabe great photographer like I am, or you have a camera that you don't know how to use all the manual settings. Kevin teaches so much useful information that I will definitely put to good use. Thanks for sharing your knowledge, skills, and precious moments with us!" "I look forward to taking more of your classes. Your personable style and obvious passion for photography make for stellar classes." "I highly recommend Photography 101! I left this class with such a better understanding of photography!! I looked forward to every class, and I can't wait to take another one!" - Ashley B. "I loved the class! I've been wanting to take a class for a long time, and this was great! Kevin has a great approach and explains things in very clear ways that are great for many background levels and learning styles. His love for photography and teaching it really shows. He provides plenty of outside help which is really great for cementing knowledge and techniques as well. I had a great time, and plan on taking more classes in the future!" "I really enjoyed the Photography 101 Class, and feel that I have learned so much from all of the wonderful techniques Kevin showed us! I look forward to taking more classes & highly recommend to others to take the classes as well!! The class was AWESOME & I am constantly using the techniques in my photography!!! Kevin was also very helpful & answered any questions I had!!!" "I thoroughly enjoyed the Photography 101 class. I learned so much about my camera that I'm much more comfortable pushing myself and my photos. The classroom setting is comfortable and Kevin is a really great teacher - combining technical information and answering questions readily. Kevin's way of teaching is friendly and you feel that he listens to you and understands what your needs are. I can't wait to take another class! I will be telling all my photo friends about Kevin and definitely encourage them to take some classes!" "I want to thank you for a WONDERFUL class!! I really enjoyed it and learned so much. I know I need to continue practicing for it all to become more natural but I really like NOT putting the setting on AUTO!!! :-) Thanks again and I have recommended you to several people already who are thinking of taking the class!" "I would, without hesitation, recommend Kevin's 101 Workshop to anyone wanting to learn more about photography. Even if you are a beginner and feel a little intimidated, you will instantly be at ease with Kevin. This is someone that is living his passion and passing it on to his students brilliantly. This class was a joy to be in, and I learned so much without ever feeling overwhelmed or confused. Kevin has put a lot of time and effort into making his classes a top notch experience, and he has succeeded beautifully. In addition, his demonstrations and unique perspective on his craft make it truly special. I look forward to taking more classes from him in the future!" What did you like best about the class? : "That I actually learned something! Kevin was very kind and considerate as well as a great teacher, and I enjoyed meeting with everyone and seeing their photos!" "What I really loved about this class is that Kevin has so much experience and great tips for every issue you could possibly think of. He doesn't only teach the theory, I could really tell that he actually DOES what he's talking about - these are real tips from a real photographer." "I have taken several classes from Kevin. Kevin has to be one of the best instructors I have ever had the pleasure of having. His knowledge of photography is second to none. He has a way of teaching that makes everyone feel comfortable and have fun learning. You will love his class!!!" "I would recommend this class to anyone that wants to do more with their camera. Kevin removes the intimidation factor and encourages you to do new things and learn from your mistakes." "I have truly enjoyed the classes I have taken with you and feel you are both an incredible teacher and photographer." "I really enjoyed Photography 101 & Mastering the Fundamentals. The information has helped me improve my photos and I've become so much more comfortable with my camera. And Kevin's enthusiasm and encouragement are wonderful!" "I really enjoyed taking this class as it allowed me to learn my camera better. I feel more knowledgeable and my pictures are of better quality." "I really enjoyed the classes and learned a lot. Even though I had read about many of the topics, a classroom setting was better for absorbing and understanding the information." "I thought the pace of the class was right on, not too fast or slow! I loved how much we got through without it ever seeming overwhelming. It was a wonderful class!" "I truly learned so much in this class! I took this class because I am a mom of two little ones and had been taking portraits of my children on my own, this class took my mommy snapshots to being able to capture awesome photos of my children! And truth be told, I didn't want to spend a few hundred dollars every six months to get portraits of my children. Now I feel comfortable taking them out and doing our own photo-shoot! Kevin was extremely personable and you could tell he really desired that no question go unanswered. He was able to take complex photography concepts and present them in a way that I could easily grasp and apply. The class environment was also very welcoming and due to Kevin's genuine wish for no one to feel overwhelmed, my mind was put at ease from the first night and I cozied in to enjoy the presentations. I wanted to soak up every detail and I truly felt like I was able to! I am now comfortable using my camera and have confidence that I can produce great photos! Oh how I wish I would have taken this class sooner!" "I wanted to send a quick email to let you know just how much I have enjoyed the class! I have been exposed to things and learned techniques that I never thought I would understand. ... I just wanted you to know, you are a fantastic teacher." "I was really scared that I was going to get left behind in the class. And afraid that I was going to be the ONLY person who didn't understand a bit of what was going on. After failing miserably at trying to read and understand books on how to use my camera I was fed up with shooting on Auto and constantly getting blurry pictures. So I researched Kevin's class and signed up. BEST decision I've made. Even though there were some parts that I didn't understand Kevin helped me to understand and did it in a way that didn't leave me feeling hopeless. The class ended with me feeling 100% more confident and really excited to put to use my knowledge." "I was so used to my point and shoot style of taking pictures. Kevin's knowledge that he shared has opened up a whole new outlook on picture taking. And at 73 yrs of age to think of the possibilities after this class are just overwhelming. I will be able to understand and comprehend my manual so much more. Thank you Kevin for acknowledging my photography." "I was totally inspired by class last night and have had a lot of fun the past few weeks." "I would highly recommend Kevin's 101 class to any amateur or budding professional photographer. This class is definitely worth the investment for those looking to build confidence behind the camera and seeking tips to take better photos. The class is dense and informative, but Kevin makes the basics easy to understand through his responsive and approachable teaching style. His love of photography as an art form really shows and I appreciated being inspired to think about my own relationship to the medium. I can't say enough how much this class has improved my photography!" "Mr. Kevin is a great photography teacher. You learn all class content thoroughly all while listening to his sense of humor!" "If your new camera has been sitting around and you are searching for an instructor who is not the lecturing out of a book, then look no further. Kevin puts so much emotion into his lectures and share so much personal experience from all his years of taking photography. He makes you want to go out and experiment with taking better photos. Not only that, he then critiques your work and guides you with step-by- step course work, followed by homework to reinforce his classroom talks. I wonder if my camera will be on auto mode ever again! In 6 short weeks, I've learned so much, and my pictures definitely reflect my newly learned knowledge. I know where I'll be taking further photography classes. I know you will enjoy Kevin's style for teaching photography." "Kevin did a great job making the information interesting and the shots I wanted to get attainable by introducing basic information in an easy-to-understand format." "Kevin Gourley shares his passion for photography very well by delivering on the dot with this class. The amount of concepts covered in the class are very diverse and broad. Kevin certainly inspires you to spend the time and learn photography as well as look beyond the lens!" "Kevin has a very warm teaching style which he uses to great effect in explaining the both the science and emotions/motivations behind photography. He is very adept at taking the sometimes confusing and complicated subject matter and breaking it down into very interesting, meaningful topics." "Kevin has great views on photography. He also explains to where you can understand and doesn't go over your head." "Kevin is a great teacher. He is easily approachable, answers questions readily and encourages class participation. I would recommend this class." "Kevin is a very experienced instructor. His classes are very professional and yet laid back. He makes his point and is extremely open to questions and is always available to help you when you need him." "Kevin is not only a great photographer, but also a great instructor. He has the knowledge base that gets behind and inside the camera and he can illustrate the digital world for you. He is approachable, amiable, and adamant that you can learn. Kevin has laid out a great series in his Photography 101 class. The notes and in class demonstrations are helpful and I learned so much about my camera and now ready to purchase a DSLR. I have manual functions and most capabilities on my camera, but now I know its limits. I am finally smarter than my camera! My images are already more reflective of what I want to be shooting. Thanks Kevin." 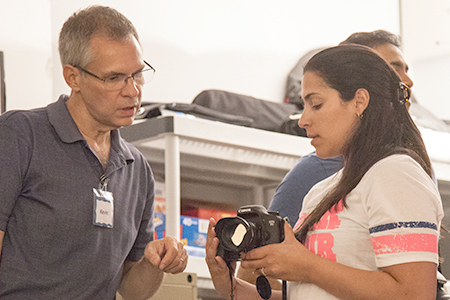 "While the class was a great introduction into digital photography, it was also so much more. It was a perfect mix of technical detail and creative elements, stressing the photographer as much as the camera. This class was just what I was looking for. Highly recommended!" "Kevin makes his class very interesting, through anecdotes, examples, humor and vivid descriptions, that make you think and imagine. Imagination and visualization are key for good photography, and this class helps hone those skills, besides imparting all the basic knowledge for a beginner like me. I would recommend this class." "You gave information and answered all of our questions without talking down to us. Your passion for sharing your love of the subject was infectious. Great set up for sharing with others." "Kevin provides that unique blend of being a true master of his craft and of being a patient, thorough and caring teacher. His travel classes provide an unmatchable photo lab and his studio is state of the art. Highly recommended!" "Kevin really helped me feel less intimidated by the settings on my camera." "I learned quite a bit about my camera and how to use it. The homework really helped to take what I learned in class and apply it in my pictures. The things we learned about how to set up the picture and what to look for when we take a picture was really helpful. Kevin is an awesome teacher. Even the simplest questions were answered and discussed w/o making the person asking the question feel uncomfortable." "I loved it!! I would definitely recommend this class to anyone looking to better understand photography!! Thank you for making it so enjoyable, and easy to understand!!" "I really liked the pace and how the homework assignments helped cement my understanding of different lessons. I really, really enjoyed the get-together/slide show as the last class." "Kevin's class is exceptional! I feel like I discovered things about my camera that I never would have known even after taking other companies classes. He is so willing to answer questions and help and he has SO much knowledge." "Kevin's class is so informative. He cares about everyone understanding all of the material he covers and invites your questions. Students receive a copy of everything covered in class which eliminates spending too much time taking notes. Kevin's knowledge & passion for cameras and photography make him an excellent teacher." "If you're new to photography, like me, books will only get you so far. Kevin's class answered all the questions the books did not. His knowledge of photography is vast and his guidance was invaluable. The passion he has for photography is evident throughout the session and highly addictive. Kevin, thank you for turning a novice into a photographer." - Robert R.
"Kevin's class was everything I was looking for to get me off of using Auto on my camera and moving on to taking advantage of the full power my DSLR has to offer. The pace was great. The homework reinforced the lesson and Kevin made himself available for questions. I'd recommend this to anyone wanting to know more about photography basics. The class was awesome!" "Kevin Gourley is a fantastic instructor! He exceeded all expectations taking the Photography 101 class. Kevin's ability to bring together the technical and artistic side of photography is magical. I highly recommend any beginner to take this class. :)"
"Kevin's classes are incredibly well organized, and they are a terrific blend of technical and artistic information. He manages to impart a huge amount of information in each class and makes himself available for questions outside of class too. I finally got some concepts that I'd been struggling to understand -- and FINALLY had the courage to turn off the Automatic settings and try Manual. Great experience! I'm looking forward to taking more classes with Kevin." "Kevin Gourley presents a well-rounded, intimate 'view' of the camera that is easy to understand and helpful. I can take my new skills to the field with me and feel confident! No more gray areas about understanding my camera or what went wrong with my picture. Great class! Bravo Kevin!" "Kevin's classes are probably the best investment you can make after buying your camera. You learn so much AND they are so much fun!" - Donny G.
"Kevin, after 30 years of experimenting with photography but always using automatic settings, I finally learned how to shoot manually! You did a fantastic job of explaining photography and light. You are very talented and creative - thanks for sharing. I love that you are so passionate about photography as an art and that you encourage it in others!" "Kevin's passion for photography is obvious in his teaching. He goes above and beyond helping his students to understand and explore various aspects of the subject. Everything I learned in this class was helpful and I walked away with a renewed enthusiasm for photography." - J.M. "This has 'jump-started' me into understanding my camera and hopefully using it at a different level now. It will be fun to play and learn while doing something I love." "Kevin's workshop has given me the basic understanding of my camera & it's manual functions.... Something I could never learn from a book. His clear and concise education of the basics of photography was just what I was looking for after YEARS of taking pictures in automatic mode. I thoroughly enjoyed the relaxed open discussion setting & would definitely recommend this class to others! Thanks Kevin!" "Your presentations were so well prepared! You are also very kind. Your examples were first rate.. I really enjoyed turning the classroom into a giant camera. Your final presentation was my absolute favorite. ... I learned soooo much about my camera and how to take great pictures. Can't wait for my next class in a couple of weeks!" "Learned more in his class than trying to learn on my own in years! Nice, works with his students for their benefit not his, fantastic instructor!" "Absolutely fabulous class!! I finally know how to use my camera and NOT have it on automatic!!! Kevin is a wonderful teacher and really wants everyone to understand how to use their camera!! HIGHLY recommend his class." "Photo 101 took the mystery out of all the little buttons on the top, sides and back of the camera. Things like white balance, ISO, speed and aperture were cleared up." "After many thousands of dollars' worth of cameras from 1999 until now, I've finally realized that I didn't just need a better camera but instead I needed Kevin's Photography 101 Weekend Workshop. I guess I don't have an excuse to buy the latest and greatest camera now." "Photography 101 is the quintessential fundamentals of photography course. And, believe me, you will look forward to every single class! There is excellent coverage of the basics in a cozy, friendly, very personal, non-intimidating way. You absolutely will not be afraid to ask any question. Class demonstrations as well as homework help in understanding each session's topics and gives each participant an opportunity to apply the material covered as well as to learn about his/her own camera in the process. Kevin makes himself available to help (He genuinely means it!) before class, during breaks, and via email. He is totally prepared for each class and each one progresses logically which facilitates understanding. In short, if you want to learn the basics presented in an easily understandable way, if you want to learn more about your camera operation and to have hands-on practice, take Photography 101. Kevin exudes his love and compassion for photography; not only will you become more confident in taking photos and gain a new set of skills, you will also be inspired!" "After taking the Photography 101 class with Kevin, I feel I actually understand how my camera works and all of its capabilities. Kevin's presentations and hands on classes were well put together and easy to understand. Whether you are wanting to get serious about photography or just take better snapshots in your everyday life, I would recommend this class to anyone wanting to learn the basics of photography." "Prior to Kevin's Photography 101 class I knew absolutely nothing about the settings on my camera and only shot in 'Auto'. Now I not only know what the "little buttons" and settings do but I also have some idea of when to use them! Thank you, Kevin, for presenting the information clearly and in an organized manner. Great Value and FUN, too!!" - Valorie N.
"Again I want to thank you for a wonderful class last weekend. It was truly enlightening." "Thank you for a wonderful class!!! I can't wait to take the next few in the series." "An excellent class to learn the basics of photography as well as some great pointers from a seasoned professional!! Kevin was an exceptional teacher with a hands on approach to help a 'newbie' learn photography." "Thank you for a wonderful experience. I really enjoyed the class & will definitely be coming to some of the other classes you are offering!!!" "Both myself and my husband have taken classes from Kevin. We have both been very happy with him. Goes the extra mile and is so accommodating. HIGHLY recommend." "Thank you Kevin - This class was truly amazing and gave me a much better understanding of photography in general." "Excellent course for any beginning photographer! I received the course as a gift and was thoroughly impressed not only by the material but also Kevin's depth of knowledge. The environment/presentation was very comfortable and not intimidating." "Thank you so much for putting on this workshop. This is EXACTLY what I've been needing!!!" - Ramona H.
"Excellent instructor! Funny and incredibly informative. Highly recommend his classes for anyone looking to advance their skills." "Thank you! I just feel so fortunate to have found such a wonderful source for learning more about photography. Your classes far surpassed the expectations that Bethany and I had. And in part I feel that it's simply because you have such a love for photography and you clearly feel that connection with your work. Your photographs really mean something to you. They aren't just an image on paper. For those that have a similar take on what it all means to them, I think it makes your classes, and your perspectives and experiences much easier to pick up on. You simply have a very unique way of helping your students understand the technology and the techniques and to actually have it seem almost elementary to them. I most definitely gained SO much from taking the class and I sincerely appreciate you sharing your knowledge and experience with others." "Great class for understanding the basics and a little more. Kevin does an excellent job of presenting the materials, which are well laid out and easy to understand. I'm looking forward to taking a follow up class in the future." "Thanks again for a wonderful class and restoring my drive to become a better photographer!!" "Great class! I learned so much more than I did from books. The homework helped to drive in the concepts. I really appreciate how Kevin took the time in and out of class to answer questions." "Thanks for all your hard work and patience with me. I can't begin to tell you how much I have learned! It is amazing!" "Thanks for everything. Through your class I've learned a lot and reignited a passion for a hobby I used to get a lot of enjoyment out of--but let slip away." "I am no longer intimidated by all the features of my camera and I have a much better understanding of how to capture the beauty that I see around me! Kevin's instruction was clear, well-paced, and fun! I would definitely recommend this class!" "Thanks so much for creating such a positive atmosphere for learning. My new found knowledge of photography is a direct result of the passionate and personal way you share your knowledge. Teaching photography is definitely your calling..."
"I did have a blast over the weekend and learned so much! ... Your class presented the information in a format and on a level I could understand." "The 101 class was instructional, challenging, and FUN starting with the first class! My photos have improved greatly in the last 6 weeks." "This IS your true calling. Kevin is very professional and seems to find the beauty in everything, his style of teaching is very passionate for the love of photography. I would recommend this class to anyone who is completely new to photography." "I gave the Photography 101 class to my daughter as a gift and she thoroughly enjoyed it. I was very impressed with how quickly she picked up the camera functions and how to use them properly. Because of what she learned through Kevin ~ we were able to do a Fall photo shoot for one of our local day care centers ~ and a Santa shoot at the public library as well. The pictures were beautiful, and the parents were all very pleased. My Christmas gift from my children was the best ever ~ Photography 101 with Kevin Gourley. Kevin has such a passion for photography and it truly shows in his pictures. His classes were very enjoyable ~ very personable ~ and very informative. He does an outstanding job of delivering the subject ~ and truly strives to have his students understand all that he has brought out in each class. He stays after classes if necessary should someone feel that they are not quite clear about something ~ and encourages everyone to pick up the phone and call him should they run in to difficulties. He truly goes above and beyond what my daughter and I expected ~ and we look so forward to learning more from Kevin in future classes. 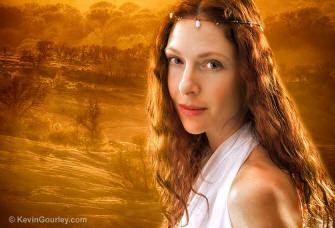 Thank you Kevin for an outstanding job ~ for sharing your beautiful work, and amazing talent." "I had a great time in your class!" "Though I've been doing photography for many years, I bought my first digital camera a few months ago. Was a little nervous that digital would be too confusing for me to learn, but Kevin took all the mystery out of it. I really feel confident that I will be successful in switching over to digital." "I have been taking photographs for a long time. Along the way, I have taken a few good photographs (far more bad than good). In the past, I could only attribute the good photographs to luck and/or technology. With a better understanding of the general principals behind photography (learned through Kevin's course) and practice (something I felt compelled/encouraged to do as a result of taking Kevin's course), I am definitely a better photographer." What did you like best about Photography 101? "The material covered. Really had no idea of all the features of my camera and this course is really helpful at laying a foundation." "I have learned SO much more than I ever thought possible AND I am looking so forward to the holidays so I can capture all the activities with my grandkids! Taking the classes just got me fired up about photography!" What did you like best about the class? "I liked it all but if I had to put a point on what I found most valuable, it was the completely logical presentation of the information from a technical point of view coupled with the practical information. For example, learning how to change the size of the relative background and foreground, spinning the camera, getting a starburst ... I could go on. Each week you built on what you had presented the week before and so I have come out of this with exactly what I wanted, a strong and complete foundation on which to move forward to the next level." "I have learned SO much more than I ever thought possible." What did you like best about the class? "Your sincerity and compassion towards your students success. The enormous amount of respect you have for each of us and for life and all that there is." "I have loved every second of this class and plan to take more classes from you in the future. Thank you so much for being informational and inspirational!!" What did you like best about the class? "Information was well organized and complex ideas were easy to grasp." "I have taken Kevin's beginner and intermediate class & it was fantastic. Kevin is very good at explaining difficult concepts & using these concepts to improve my photography." "Kevin did a great job taking concepts that we learned in Photography 101 a little deeper. He encouraged us to be creative and try things that we not have thought to try. The only complaint I have is that the class is over." Alice M.
"I appreciated the "going deeper" aspect of this class - questions I may have had at the end of fundamentals were thoroughly answered and put into practice in this mastering class." "Kevin is truly knowledgeable and always willing to answer whatever questions you may have. Also, he is personable and his love for photography and creativity is contagious. I don't see how it's possible to take his class and not leave a better photographer." "Kevin really cares about what he teaches and it shows when he teaches. Makes it easier to learn and he is always available to answer questions, even through emails." "Kevin is a great teacher. He is passionate about photography and he really cares about his students." "I have been thinking today about all I have learned from your class. It has been such a valuable experience to be 'forced' (ie. make the time) to use my camera each week. Also, to think about white balance and exposure in general each time I take a photo. I have noticed that I use my equipment more naturally ... This has been a great experience for me." "I learned so much more about each of the camera functions and learning how and when to use them. Feel like I understand better what I am doing." "I thought the homework assignments were great." "Thank you for the course. ... It has been great!!" "This was fun, but very challenging! I really learned a lot from the process." "Very good overview of all of the technical aspects of DSLR." "Kevin's Mastering the Fundamentals class was a great follow-up to Photography 101. Mastering the Fundamentals took me beyond the basics and better prepared me to be more serious about my photography. As always, Kevin's approachable style and passion for photography makes the class enjoyable and laid back. Highly recommend!" What did you like best about the class? "I liked the challenge of the homework assignments. They pushed me outside of my comfort zone and solidified my understanding of photographic fundamentals." What did you like best about the class? "Kevin is always available for questions and is super helpful with any problems you are having." What did you like best about the class? "Smaller class size. Additional, more challenging, homework." "This was an absolute blast. Kevin's sense of humor kept us laughing and his creativity kept us in awe. It was wonderful to get in there with the other class members and play with light! He keeps the class size small so we have a lot of hands-on learning and fun." "Kevin put together a very thorough and comprehensive introduction into a topic that one could struggle with on their own, regardless of how many tutorials or books you have ready. There is no substitution for the hands on muscle memory that is acquired during Kevin's class. Quite simply, it was fun and makes you want to explore this niche of photography more." "I had a blast and learned enough in technique that I feel comfortable venturing out on my own." "I had so much fun learning these light 'painting' techniques!" "Kevin does an excellent job of providing instruction in an easy to understand manner and then offering opportunities to try the strategies yourself! Great class!" "Kevin's class has a good combination of theory and practice. He pays attention to every student and provides answers to all questions whether it is a concept related or camera setting related. He makes it interactive and patiently works with everyone and gives individual feedback both before and after taking the picture." "Kevin's Painting with light class was a blast. I have taken various classes from Kevin so far and this one was my favorite. It's one of those classes that promotes creativity, provides hands on experience for each student, and the class is so fun that it ends before you want it to. Not only was it fun to watch the model being painted, but equally as much fun to see what each student ended up with. Kevin is passionate about taking photos as well as teaching photography to others. He's kind, compassionate, respectable, and displays an abundance of patience with his students. I highly recommend this class to anyone wanting to take fun and creative photos in a friendly, safe environment." "Painting with Light was an amazing experience!" "Your Painting with Light class really opened my eyes to a whole new way to take pictures. SO FUN!" "I have taken photography classes elsewhere, but Kevin's classes rise above all the rest. He explains things in a way that is easily understood. He limits his class sizes so you aren't just a number in his class and you get more personalized attention. And he uses live demos and hands on experience to help his students further grasp the information. You won't find a better instructor anywhere!" - Sheila C.
"I plan to take some more classes that you offer. Thanks for being such a great teacher!" "As always, I loved taking Kevin's class. His Light and Photography class was full of helpful information, well-explained and presented in an organized way. He was easily accessible for questions or feedback via e-mail, and also met with people both before or after class. All questions were taken seriously and with great openness. As always, his enthusiasm was infectious and made me want to get out, take more photos, and keep learning. Thank you, Kevin!" "An excellent class in which to learn the single most likely way to improve the quality of your photography. Kevin's live demonstrations of lighting concepts and the opportunity to do a studio add-on session and practice took the worry of an unknown away and replaced it knowledge of the power of light. Be prepared, though; he is going to inspire you to invest in your own lighting!" "Kevin is an amazing teacher. Love that the classes were small enough that it was almost like having a private tutoring lesson. He encouraged us to ask questions, and was extremely knowledgeable in giving us answers and or solutions to them. I would definitely recommend one of his classes. I've felt a little light bulb go off in my mind, many of times. If you're like me, and love photography and want to learn all there is, this is the place to be." - Leslie A. If you have questions about Light and Photography this class is for you. It gave me so much more than I even anticipated. We learned so much more than just how to use a flash (though we learned LOTS about that, and how using a flash doesn't have to give you that fake, harsh, "flash photography" look). It was very interesting to see the different types of lighting a photographer can use, not just studio lights. And, as with all his classes, Kevin made things easy enough to understand, even when talking about the Inverse Square Law. "I really liked the demos. Kind of nice to see something work, that my mind never thought would." "I liked learning more about my flash...I was honestly shocked with the versatility it offers." "I liked the way that things were explained in terms that made it easy to learn. I enjoyed the segments on using a flash on a camera." "Great class and great teacher! Kevin is patient and informative. He takes the time to explain things in detail and makes sure you understand the information and concepts (even if it means he has to repeat himself a few times). The demonstrations helped me understand the concepts and the homework gave me an opportunity for hands on experience. Understanding lighting is so important in photography so I would definitely recommend this class." "Highly recommend this class. You will learn so much about light. I especially enjoyed learning all about using a flash, reflectors, gels, and how to darken the background without affecting the subject." "I love everything about the class. The information is relevant and the examples provided help reinforce the learning objectives. I also like having homework assignments and that we discuss them in class with the other students. Oh, and the demonstrations are great. You would have laughed if you had seen my face when you did the demo with the flashlight and mannequin and long exposure…it was like a magic show for me!" "I feel I am already seeing 'light' in a whole new way. I also have even more respect for portrait photographers now. Thanks for all you bring to us!" "He was able to take complex photography concepts and present them in a way that I could easily grasp and apply. The class environment was also very welcoming and due to Kevin's genuine wish for no one to feel overwhelmed..."
"Kevin has put a lot of time and effort into making his classes a top notch experience, and he has succeeded beautifully. In addition, his demonstrations and unique perspective on his craft make it truly special. I look forward to taking more classes from him in the future!" "Kevin Gourley is a fantastic instructor! He exceeded all expectations ..."
"You did a fantastic job of explaining photography and light. You are very talented and creative - thanks for sharing. I love that you are so passionate about photography as an art and that you encourage it in others!" "Kevin's classes are incredibly well organized, and they are a terrific blend of technical and artistic information. He manages to impart a huge amount of information in each class and makes himself available for questions outside of class too... Great experience! I'm looking forward to taking more classes with Kevin." "Kevin is a fantastic instructor who is extremely knowledgable, friendly and ready to answer any question. He combines classroom instruction with hands on experience while explaining the material in clear, easy to understand ways. I would strongly recommend this instructor." "Kevin, Thank you for the outstanding lesson you provided in your studio. With your engineering background you were able to methodically breakdown each step of the process, but did it in a way that was very organic, easy to understand and unintimidating. It was a priceless experience for me to see how each studio light affected the subject and to see how much control a good photographer can have with light. The lesson only got better as I watched you transform from a technical instructor to visual artist during the last 30 minutes of the lesson. It was like having two different instructors. I have a whole new respect for studio photography and can't wait to try some of the lessons at home. Now I have to clean out the garage to have a space to shoot!" - Jaime G.
"Kevin is a fantastic instructor! The combination of technical info, practical, hands-on learning and most importantly a fun and creative learning environment already has me taking better pictures! Being able to see improvements in my images right away is truly inspiring, and is just the kind of boost that is turning my hobby into a true passion for photography. I plan to sign up for more classes in the future and recommend Kevin's courses highly to every other beginner photographer I meet." "Hands on, collaborative, conceptual and practical at the same time." "Kevin Gourley is a fantastic instructor!" "Kevin has so much experience and great tips for every issue you could possibly think of. He doesn't only teach the theory, I could really tell that he actually DOES what he's talking about - these are real tips from a real photographer." "Kevin's style of teaching is outstanding. He is a very caring person and bends over backwards to make certain he solves any problems you may be having with your equipment or photos. He creates a great learning environment." "This was such an amazing class! It was so fun to take what we had learned in 101, and Mastering the Fundamentals, and the morning of instruction and put it to work with real models!! It was great hearing your ideas, talking with others in the group, and then experimenting with our own creativity! I felt like a professional photographer! So much fun!" "The entire experience with you and the group was really exceptional." "At the beginning, Kevin asked what we wanted to shoot as photographers. I said wildlife and landscape and this trip did that in spades!!" "I am a true beginner to photography. I took Kevin's Photography 101, which I highly recommend for beginners, which explained a lot of the technical side of photography. I am a hands on/visual learner and being able to apply what I had learned in the 101 class at this workshop really helped me be able to take better/sharper pictures. Kevin is an extremely thorough and patient instructor. This workshop provided fantastic learning opportunities everyday with breathtaking views. I look forward to the next workshop." "Kevin and Gail were wonderful! They treated everyone like good friends, and they were extremely attentive to all of the participants' needs and desires. The workshop was well organized, instructive, and fun! For anyone wanting to take their photography to the next level while exploring a beautiful part of the country, I would highly recommend this workshop." "The Rocky Mountain Summer Photography Workshop was an amazing experience! The success of the workshop begins with the organization and preparation of the instructor. Kevin and Gail were superbly organized and prepared! It was a treat to be lead to the best spots at the optimum time of the day to photograph the spectacular beauty and wildlife in the park. They demonstrated great flexibility and adaptability in meeting the needs of the group with the ever changing clouds, weather, and wildlife. It was also an incredible learning experience having a photography professional available to coach and instruct on the best methods for creatively composing a scene, capturing stunning images, and the correct use of a wide range of photographic equipment. Not only can I wholeheartedly recommend this workshop, but I'm already scheduled for a Rocky Mountain Fall Photography Workshop with Kevin!" "Attending a workshop with Kevin is absolutely wonderful... so wonderful in fact that I did the same workshop twice. Kevin is very knowledgeable of the park as well as techniques to make us capture the best photos we possibly could. Kevin is very patient, kind, funny, passionate about teaching others how to take the best photos, considerate, extremely organized, etc. You won't find a kinder, patient, and talented person to not only plan an awesome itinerary for the group, but to also be a tour guide of the park and provide facts about the different sights... AND provide constant photographic tips and instructions and reminders that were extremely helpful. Thank you Kevin. The workshop is worth the expense." "I learned more from Kevin during the Rocky Mountain Workshop in 4 days than I have learned in the last 4 months. It is outstanding. The small group size facilities a great deal of one on one engagement with Kevin. And, it is Rocky Mountain National Park. What else could you want. Highly recommend it." "The work shop was fantastic!!! Experience of a life time." "This workshop was thought out and much better organized than any other workshop I have taken. It doesn't even compare to the others." "This has been the best outing ever. I learned so much from this workshop. Kevin is a great teacher." "I really enjoyed Kevin's workshop. Kevin is extremely organized, knowledgable and very patient. Kevin's love for Colorado shows and he knows the exact spots at the perfect time to achieve the images you desire. I honestly have never attended a more we'll run workshop before this one. I highly recommend it. It will be an experience you'll never forget!" "This workshop is so much more than photography! It is an opportunity to try new things with a great teacher by your side and a chance to make new friends. I can't wait to do another." "Kevin and Gail were outstanding hosts and workshop leaders. The sites were organized with flexibility for special circumstances and help with photography or any personal need was always ready and available. Kevin covered every detail of the trip and provided outstanding communication." "This is the 2nd time I've participated in this workshop. That alone I think speaks to the quality/value of the workshop! Kevin (and Gail) is tremendously organized, attentive to his customers needs/desires and continuously providing instruction/feedback/reminders so each student can get the most out of their photography." "Half of the photographers at the Rocky Mountain National Park summer 2015 workshop were repeat customers...the first sign this was going to be good. 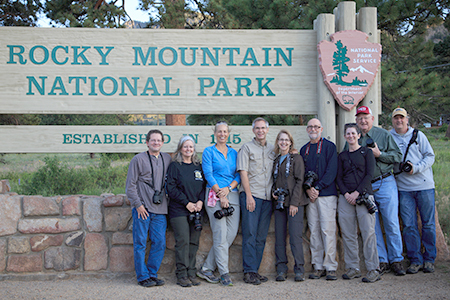 At workshop's end, all six of us were conspiring to meet up again at Kevin Gourley's Fall RMNP workshop. In between, Kevin advanced my camera knowledge 10-fold and taught me new valuable techniques for successful wildlife, water & sunrise/sunset photography. I looked at a lot of workshops, but Kevin's stood out from the pack in a number of ways: #1 Bring a spouse or friend along & they don't pay tuition as long as they leave the photography to you. It's fun for both of you, and they can help "sherpa" your gear, drive you around, spot good shots & cheer you on. #2 You're getting an experienced tour guide in addition to a photographer teacher. Kevin knows the park backwards and forwards - where & when to arrive for a prime sunrise or landscape. You'll be photographing the moose while hundreds of hapless tourists are roadside just hoping. #3 Affordable. #4 Kevin is: A full-time professional photographer. Organized. Detail-oriented. Knowledgable. Patient. Caring. A kind (non-condescending) teacher. A Canon guy who is equally comfortable helping you with your Nikon, Minolta, what-have-you. He aptly juggles varying skill levels within the group. He won't tell you what to shoot, but will help you make the most of what You "see." #5 You're going to make some good new friends. I can't wait for the next Kevin Gourley Workshop." "The ability to only focus on photography in one of the most beautiful places on earth with Kevin always close by to help or answer questions makes this a trip of a lifetime for a photographer." "It really is a photographer's 'trip of a lifetime'." "This workshop is worth every penny it cost. Kevin will take you to some amazingly beautiful locations to photograph AND help you capture amazing photographs. You'll also see incredible wildlife. The time will go by so quickly it'll leave you wanting more.... Highly recommend Kevin's workshop. He's patient, kind, compassionate, extremely knowledgeable and organized, and just overall a great guy!" "Kevin provided an excellent workshop. I had great picture opportunties. Kevin had the logistics and timing down pat. Waterfalls, cascades, vistas, and especially wildlife." "Kevin's Rocky Mountain workshop was a great experience. He is very knowledgeable about the park. Every day was a different experience. The days were planned out with hiking that was not to strenuous. I had a choice of doing this workshop or one in Sedona, Arizona and choose this one based testimonials from previous participants. I have also taken some of Kevin's classes so was already familiar with his excellent teaching methods." "Anyone who loves nature photography should take this workshop." "We had a grand time!! Kevin is so patient and extremely knowledgeable. He will take the time to answer all of your questions and repeat himself until you get the concept. Gail was a huge help with walking slowly down the mountains with me and to let me go at my own pace. Kevin has a great knowledge of RMNP. He knows all of the greatest locations to take the best photo at the right time of day. He is a great leader and photographer. Can't wait until the Beavers Bend Workshop!!! Thank you Kevin and Gail for a wonderful adventure and a great time!!" "The Rocky Mountain National Park workshop is a hands-on learning experience in a spectacular setting. Kevin and Gail made it a great experience. The other photographers and friends in the group added to the fun time we all had." "There are workshops and there are workshops and then there's Kevin's workshops. He never ceases to amaze me with his knowledge, willingness to share, kind soul and good humor. I can't say enough about the experience." "I've taken both the 101 and fundamentals classes from Kevin. They were excellent and I learned a lot from them. But the opportunity to apply what I learned from those classes at the Rocky Mountain Workshop was better than I ever expected it would be. Each day in the Rockies I saw my skills and photographs improve. I was developing good habits and having fun, too! I can't think of a more beautiful place to hone my skills, a more helpful (and patient) instructor than Kevin, and a more delightful group of people to hike and take pictures with!" "The natural beauty of RMNP was enhanced by Kevin's knowledge of the park and locations that were custom picked for great photographic shots. Kevin's calm, patient and knowledgeable teaching style meant that everyone, at whatever level they were at, felt comfortable asking questions, making mistakes, learning from them and then getting immeasurably better pictures as a result. The improvement in my photography from Day 1 to Day 4 was unbelievable. I came thinking the auto settings on my camera really took better pictures than I did, and I left seeing and believing that the pictures I now understood how to take were vastly superior to anything the camera could capture in auto mode. It was a 5 star experience from beginning to end." "This photographic workshop in RMNP encourages you to step outside of your normal photographic routine. In the course of four days in a magnificent setting you encounter many different photography 'problems' and with Kevin right there you have the opportunity to learn the solution from him and then apply it and practice until you get it right. You also learn from your group mates in a way that does not happen in the regular classroom. I think I grew as a photographer more in the four days in this workshop than I have done in the 5 years I have been a serious photo hobbyist." What did you like best about the workshop? "Feeling safe with Kevin. Knowing he had carefully scouted all the areas and worked diligently to provide the best possible adventure/workshop." "Kevin and Gail were wonderful host and instructors. Kevin is very knowledgeable and patient and was there to give advice and instruction. Was a wonderful experience." What did you like best about the workshop? "The hands-on practice. The opportunity to ask Kevin questions and then see the results when I applied what I learned." What did you like best about the workshop? "So many things--It was wonderful to have Kevin as a guide in RMNP. He really knows the areas. And of course, having him there to answer all my photo questions was invaluable. I learned so much." "If you want to take make significant step-function improvements in your photography, this is the workshop for you. There's nothing like some serious time spent on photographing landscapes & wildlife with a fabulous instructor by your side. Worth every penny and then some!" "Great photos ops, with non-stop guidance on how to capture the best photo. Since this experience was continual over 4 days, the reinforcement of the checklist became second nature, and therefore should stay with us in all future photography." "Loved having time together with other photographers who never tire of continual photos ops... then have time with spouse to do as we please in the late afternoon/ evening. A great balance." "Great trip! Kevin provided tips and suggestions to ensure you were successful in getting great shots. He offered as much or little assistance as was needed." What did you like best about the workshop? "I loved the varied locations at the park site, varied types of shooting environments, the early starts when we had great light and NO crowds, great field instruction, collegial group, patient and knowledgeable instructor. I appreciated both Kevin's extensive photographic knowledge and ability to pass it along, as well as his local knowledge of the park, and his careful watching of the weather which is so necessary in that environment. The accommodations were convenient and comfortable and clean and the opportunities to eat together during the day and in the evening helped build the group dynamic." "I had a fabulous time and learned a ton. My photography skills increased while I enjoyed every minute!" "I had an incredible experience this past week and am happy to have had the opportunity to learn from an amazing instructor and obtain some great shots." "I think the carpooling was great. And I would love to bring my spouse or a friend next time." "I wanted to say thank you again for an AWESOME workshop. I learned so much." "It was a most awesome time!" "Just came back from RMNP and this workshop. It was a fantastic trip and I highly recommend it to anyone!" "Kevin I just wanted to say that this entire trip has been an amazing experience for both myself and Joe. You are such a gracious host, guide, mentor, and person in general. Everything we did was a wonderful time and although the hikes kicked my rear a bit, I wouldn't trade those experiences for anything in the world. It was fun and I'm happy that I was able to participate in everything. I can't wait to view my photos and see what I ended up with but no photo shot by me can truly give justice to the beauty all around us here at Rocky Mountain National Park. Thank you for all your patience, kindness, excellent communication with the group, planning, the burger cook out, for sharing your favorite spots with us, for your mentorship... I highly recommend anyone wanting to learn more about photography to take some of your classes and/or join you on one of your on location workshops. This was a fabulous group of people and it was a thoroughly enjoyable experience that I'll never forget. Thank you!!!" What did you like about this workshop? "Oh man! Where do I start? Total AWESOMENESS!!! If you like being outdoors, one with nature, hiking, and getting GREAT photographic opportunities and instruction, search no more! This workshop was a great mix of learning/down-time. It had well thought out daily excursions that yielded a variety of subject matter, each requiring application of different photographic technique. Well done Kevin!" "Thank you for a great learning experience and a fabulous week. I so enjoyed being out shooting for 10 hours a day - what a luxury! You did a great job of organizing, preparing us, and teaching us while we were there. I know I got a bunch of pictures I love, and am sure everyone else can say the same. I love, love, love Rocky Mt. National Park and being in Colorado. You are Gail were gracious hosts and made the whole experience fun and exciting." "Thanks Kevin ... the trip has been spectacular. And as always, so organized, helpful and thoughtful." "The weather was gorgeous, the sights were outstanding, and the activities were great. I appreciated Kevin and Gail being close by for assistance and advice. Kendall was a huge help to me and I greatly appreciated that. Thank you for allowing my spouse to come along. It was an awesome trip full of great memories and I can't wait to go thru all my photos." "This workshop was all that I had hoped and more. I was able to spend significant time trying different techniques throughout each day. The mix of wildlife, vistas, waterfalls and close subjects was perfect. Having Kevin to help think through techniques was wonderful plus I learned so much from all the others in the group as well. Great group, great weather, amazing sights and good downtime as well - exactly what I needed!" "This workshop was so much fun and created so many wonderful memories. Thanks again!" "What an incredible talent Kevin Gourley has for photography and I am so honored to have learned from him. I was initially intimidated by the technical aspects of photography (ISO, Aperture and Shutter Speed) and he quickly put my fears and intimidations to rest and explained the process in a manner I could understand. He was always kind, patient and encouraging. The RMNP workshop was an adventure I will never forget and the bonus is, I feel like I made many new friends as well. I definitely want to take another workshop in the future." What did you like best about the workshop? "4 days of immersive photography experiences. So much time to experiment, practice, perfect." What did you like best about the workshop? "Being able to spend real time at each stop, trying different techniques and learning from others." What did you like best about the workshop? "How well thought out the daily excursions were planned in regards to location, photo subject matter and type of technique needed to be applied and exercised." "What did you like best about the workshop? Can't name just one thing. You were a great guide and teacher, it was good to have the guidance on the spot. Loved the locations we went to, especially the hike to Dream Lake." What did you like best about the workshop? "I was able to learn more by going out and getting to know more about my camera and hands on training we received." What did you like best about the workshop? "Settings for waterfall shoots, sunrise and wildlife shoots." What did you like best about the workshop? "The fact that the group was kept small and manageable and that it was an opportunity for hands on learning." What did you like best about the workshop? "The best part of the workshop was Kevin's knowledge of the area and his low key way of helping each of us understand the techniques. Thanks!" What did you like best about the workshop? "Just experiencing everything with other photographers along. I enjoyed the pace with which we handled the activities. Having a patient group and instructor was awesome." What did you like best about the workshop? "The hands on learning to photograph so many things...from sunrises to waterfalls to moose! I learned so much and I'm so glad I went on this workshop! Kevin, you are a great teacher and your love for photography really shows through your patience and efforts. Thank you so much for this opportunity!" "Kevin is a fantastic teacher and has a great ability to communicate to all ability levels and backgrounds. He truly loves what he does and it shows. His sense of humor and positivity are great to work with. He has a great knowledge of the many camera bodies and lenses and their quirks and is able to adjust the walks in the park as the need arises due to weather because of his knowledge of the park which is a great benefit. I'd recommend this class to anyone - beginner and advanced alike!" "Beavers Bend provides a beautiful setting in which to hone photography skills, and having Kevin there to take us to all the best spots and provide coaching made the experience fun and valuable." 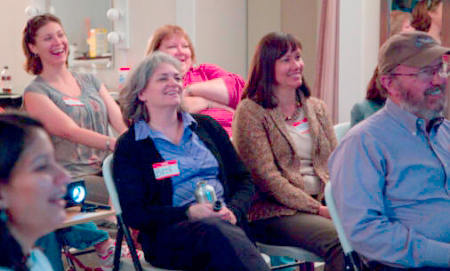 "Kevin's workshop was better than I had expected or imagined. First, the organization was incredible. Despite making adjustments for impromptu photo ops or lighting, everything was still organized. Having class time to review basics and apply knowledge to trip conditions was good as well. Kevin also allows you to be comfortable asking anything and will work with you to achieve the picture you want to capture. The park was so beautiful and having locations already scouted for photo opportunities was great." "To me, taking a class like this is like hiring a guide to take you hunting or fishing. You may be comfortable using your equipment, but you may not know the best place to take it for the end result you desire. In this case, amazing photographs!! Kevin was very knowledgeable about the park, and knew what places were best to photograph and the best time of day to be at those location. Kevin's teaching skills and photography know how were like an added bonus when you were stumped by your camera. Kevin offers a positive learning environment where you are encouraged to ask questions and never made to feel like you should know the answer already. My advice to anyone interested in learning or furthering their photography know how? Take Kevin's Classes!" "Excellent class! Kevin was great about covering the subject manner in detail. He took time with each of us, answering questions about the subject matter as well as each of our individual cameras/lenses. Beavers Bend Park was an awesome place to hold the class. Thank you Kevin!" "Interested in photography? Take a class with Kevin. He's fantastic." "Great teacher! Very patient and always making sure I understood. Learning in the classroom and then going out and applying what we learned was so helpful!! Would recommend this class to a friend for sure!" "Even though I am pretty familiar with basic photography, the course really brought me up to speed with digital techniques and familiarization with my own equipment and its capabilities." "I came into the Beavers Bend Fall Photographers Boot Camp knowing nothing, other than I liked other's photography. I left the workshop with a wealth of usable knowledge, and an ability to create lovely photographs. I am very happy I went, and am excited about my new hobby." "I just wanted to tell you again how much I enjoyed the workshop. I felt like I got a lot out of it and I loved your teaching style." "I learned a lot of technical things about photography, but the personal experiences that Kevin shared really touched my heart! It was great to see the positive things people are giving back to the communities in which they live. I'd recommend this class to anyone who has a desire to make new friends & see the world in a new way." "Kevin Gourley has it together from beginning to end! His attention to detail has you prepared for anything so that your experience is at it's best. The information is great and he presents it with humor. We had a great time! Kevin and Gail are very nice people and a joy to be with. I would recommend any of Kevin's classes!" "Kevin is a great instructor. I really appreciated how organized Kevin was and how he truly maximized our instructional time by adapting the schedule for the weather. The classroom location with nearby trails made it easy to run outside and put the classroom training to use." 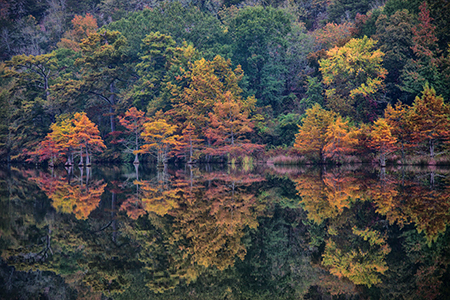 "The Beavers Bend Fall Photographers Boot Camp at Beaver's Bend was an amazing experience. I had already taken Kevin Gourley's Photography 101 class, but found I still learned a lot going through it the second time. The added benefit of the hands-on experience and ability to ask questions on the spot really helped me understand how to adjust my camera settings. Kevin did an amazing job of adjusting the schedule to the rainy weather we experienced so that we were able to be in the field as much as possible. Kevin and Gail explored the park ahead of time and knew exactly where to take us to get some amazing shots. They are great hosts and really know how get a group of complete strangers to gel. I came away from this workshop knowing much more about photography and made some great new friends. Thank you!"